To find out the value of your home, please complete our short form below and one of our members of staff will be with you shortly. Why use Richard Kendall to let your property? Why use Richard Kendall to sell your home? Who has extensive experience of selling homes in your local area for over 45 years. Who excels in their reputation throughout the area and beyond. Which advertises more than any other agent in the local property pages and the internet. Who ensures that each home owner has their own individual Property Consultant, who will guide you through the marketing of your home, from initial instruction through to a sale. Which is represented in not just one office, but six local offices throughout Wakefield and Pontefract, ensuring your property gets the maximum exposure possible, not just simply listing it on the internet and hoping for the best. Most of all you want an agent who has a vested interest in selling your home. As an independent family firm with a strong team behind them, Richard Kendall Estate Agent will give you a personal service working for you 7 days a week. For over 45 years, Richard Kendall has been selling homes in Wakefield and Pontefract and through experience, reputation and determination, by choosing Richard Kendall Estate Agent to sell your home you will be in the best possible hands. Putting your needs first will ensure that Richard Kendall Estate Agent will serve you with the utmost professionalism and dedication to selling your home, taking whatever steps needed to meet your requirements. We are members of the National Association of Estate Agents and have NAEA qualified staff in each of our 6 offices ensuring that you are in the best possible hands when selling your home. We guarantee that all prospective purchasers are called for feedback and you are informed of your viewers’ comments within 48 hours of the viewing. Draft copies of brochures are prepared and sent for your approval prior to it being sent out on our mailing lists and placed on our website. This way you can ensure that your home is marketed the way you want it to be, making sure no stone has been unturned in marketing the property in its best light. Brochures include floor plans and colour photography with internal and external pictures that best represent your home in order to attract potential viewers. Once approved, the brochure will appear on all the major property websites within 24 hours to ensure that we market your property as soon as possible. Our mailing list holds over 1,500 people actively looking to buy property in the Wakefield and Pontefract area and is updated on a daily basis. Once your brochure is approved this will be sent to those who are actively looking to find homes similar to yours. We guarantee that all prospective purchasers are property matched with homes that meet their individual requirements. No other agent in the Wakefield area takes more pages in the Wakefield Express than Richard Kendall and if you pick up the Pontefract and Castleford Express you cannot miss our increasing presence in this newspaper. Here you will find the best selection of properties for sale in Wakefield and the surrounding areas. Furthermore we produce our very own magazine, the ‘House to Home’, which reaches the doors of 6,000 homes per issue of those actively looking to buy a home in the local area. The majority of our enquiries now come from the internet. In addition to our own website, you can also find our properties on various property search engines to ensure that your property is advertised not only locally, but on a national scale too, these include Rightmove, Zoopla and Primelocation. Each of their websites are updated on a continuous basis and your property’s colour brochure can also be fully printed directly from our website. Property tours, floorplans and local maps can also be added to your particulars at no additional cost. Despite the increasing use of the internet to search for a home, the footfall continues to grow in all our offices. 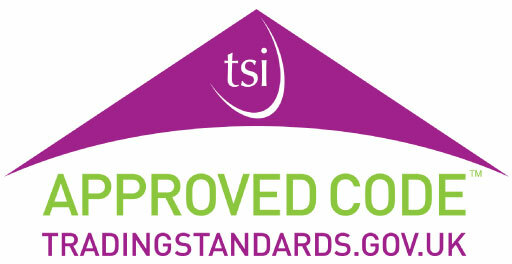 We ensure that our high standards of customer service are maintained within each of our 6 offices. Your property will be displayed in our windows on a rota basis; with plasma screens in the windows of our Wakefield and Pontefract branch’s ensuring that all our properties are advertised to passers by on a continuous basis.